Anton Page are pleased to have completed on the sale of 14 Hosier Lane on behalf of our clients, Ibsecad to its new owners, the Pharmaceutical Services Negotiating Committee or PSNC. PSNC are recognised by the Secretary of State for Health as the body that represents NHS pharmacy contractors. They promote and support the interests of all NHS community pharmacies in England to ensure each pharmacy has an increased range of high quality and fully funded services that meet the needs of their local communities. 14 Hosier Lane will serve as an attractive HQ for PSNC, with a combined ground and lower ground demise of 4,415 sq. ft. and features including raised floors, comfort cooling, high speed internet, 2 fully fitted kitchens, disabled access, a shower and good ceiling heights of approx 4.2 meters. The ground floor also provides an attractive reception area, a board room, a private office and also fronts onto Hosier Lane. It has its own self-contained entrance and being in an established mixed use development, it proved to be popular with dozens of inspections having been carried out. 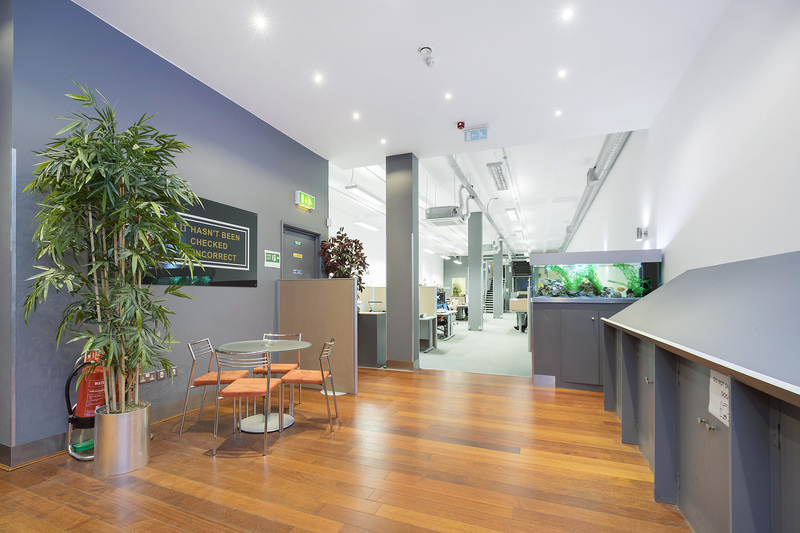 For more information on other offices we have for sale, click here.